The rules of the contest require photographers to submit photos taken using “any aerial platform” and taken in 2017. However, PetaPixel reports that the winning image in the Landscape category doesn’t meet either of the requirements. 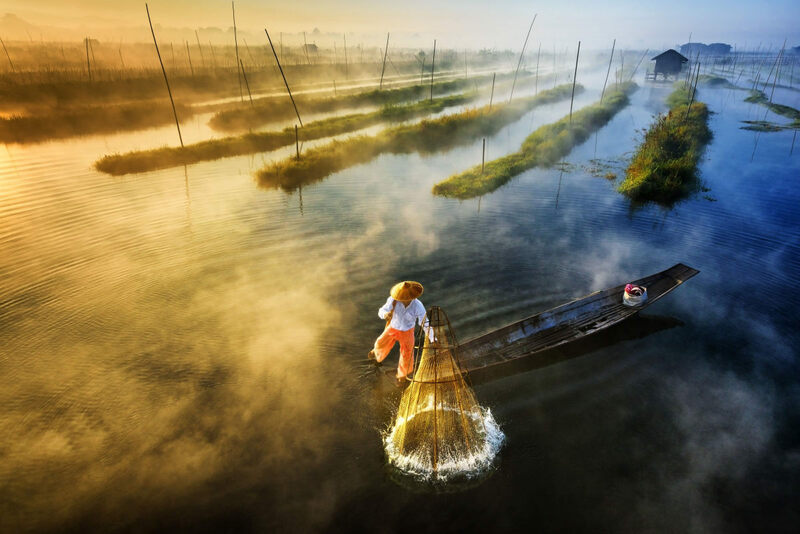 The image in question is named Sun’s Up, Nets Out and it was taken by photographer Zay Yar Lin with a Nikon D750. He told Amateur Photographer that he took the photo “from a high bamboo stage built near the fishing place in the lake for photography purposes.” It’s probably not what DJI meant by “aerial platform.” Anyhow, this interview dates back to 2016, which brings us to the next issue: the photo wasn’t taken in 2017. As reported further, the same photo was submitted to several other contests in the previous years. These include NatGeo 2015 Traveler Photo Contest, 2016 Sony World Photography Awards, and Amateur Photographer of the Year 2016. The EXIF data on the NatGeo page doesn’t only show that the photo was taken with a Nikon D750, but also that it was captured in 2014. I regret that I had shot with my DSLR with hexacopter on the bamboo stage to get the best angle. But to be honest, I wasn’t aware of the Photo Contest rules that all photos should have been shot in 2017. I’m a freelance and ethical photographer in the contests. Please look up my profile in any site. I really regret misunderstanding had occurred between us. DPReview points out that the photographer didn’t mention the hexacopter when he gave the interview about this image to Amateur Photographer in 2016. But if he did attach the DSLR to the hexacopter, I guess he found a loophole in the contest rules. Still, the fact that the photo was shot in 2014 is something he couldn’t fake so easily, considering that it was submitted to several contests before 2017. Upon disqualifying the photo from the contest, some people argue that “it’s still a nice photo.” And I have to agree: regardless of the gear used, the photo is nice indeed. But still, if the contest has certain gear and year requirements and they are not fulfilled, I guess the photo, no matter how good it is, can’t be accepted.